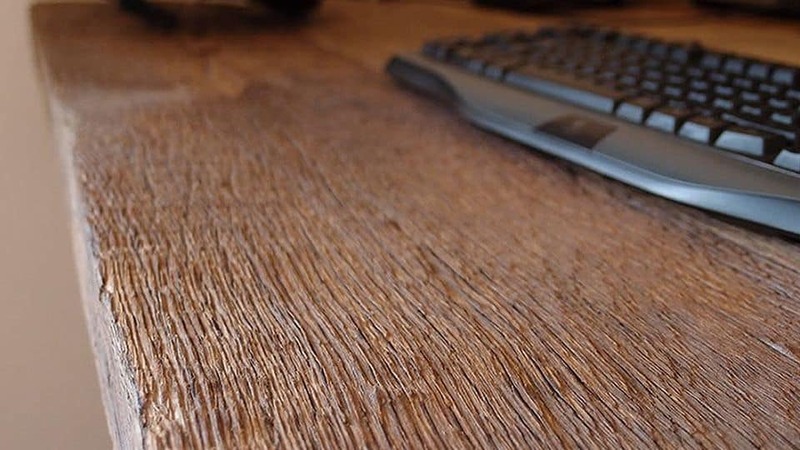 Our solid oak log walls come with its original surface, which has not been sawn. The backside of the logs is more heavily weathered due to its original position. It therefore has a very strong and rustic wooden character. Solid oak log walls are denailed by sight and swept clean. 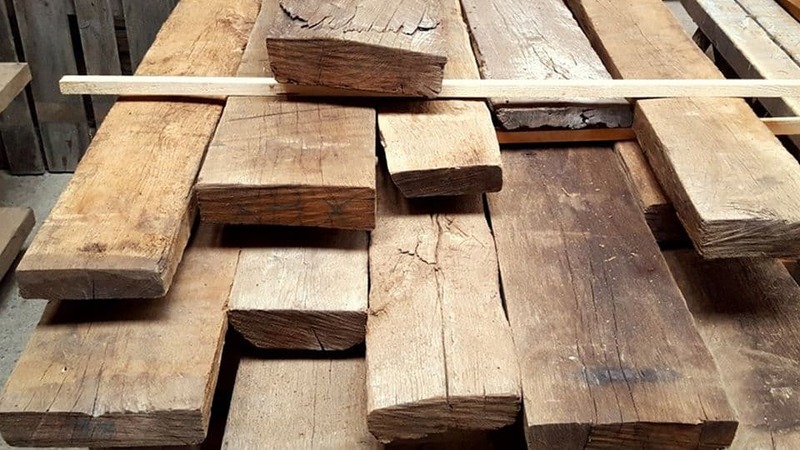 If you are looking for a wallpanels made of reclaimed solid oak, you can find them here. 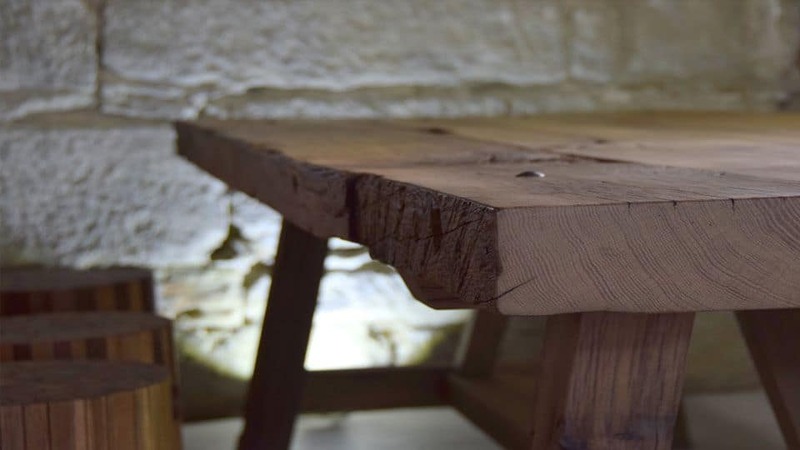 Solid Oak Log Walls are well used for unique pieces of furniture, e.g. tables, benches but also as doors, stairs and wallpanels. It’s sturdy and individual character allows a multifunctional usage.